I have been admiring the mini parfait glasses at Pier1 for months, but added them to my “want but do not need list” for party entertaining. However, I was super pumped when I found them at Marshall’s for less than half the price! Score!! Mix all ingredients and serve with shrimp. Place a small romaine leaf in each mini parfait glass. Add cocktail sauce and place shrimp on top. Squeeze a little lemon juice over each shrimp and top with a little lemon zest. Easy breezy and oh so elegant! Chill until ready to serve. 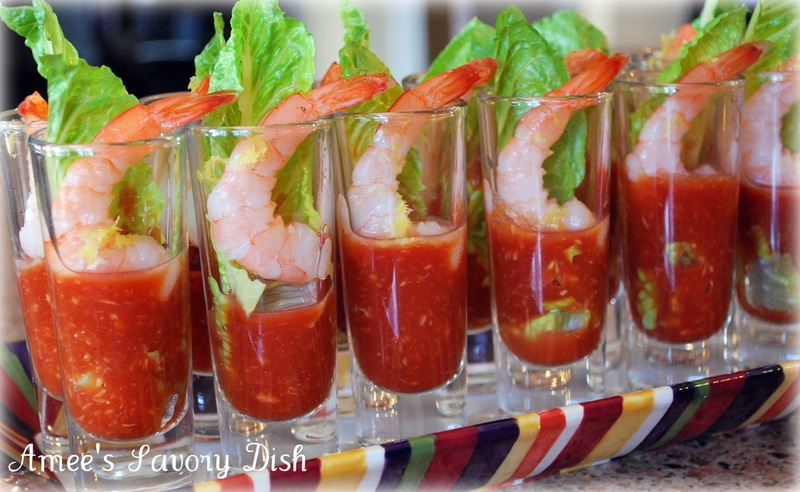 A delicious shrimp cocktail appetizer served in miniature parfait glasses. Add all cocktail sauce ingredients to a bowl and mix until well combined. Refrigerate until ready to assemble shooters. Place a small romaine leaf into each mini parfait glass. Add cocktail sauce and place shrimp on top. Squeeze a little lemon juice over each shrimp and top with a little lemon zest. Chill until ready to serve. These are so cool. My wife made something similar last year for my birthday, but it was actually a soup shooter. I love your lettuce treatment. 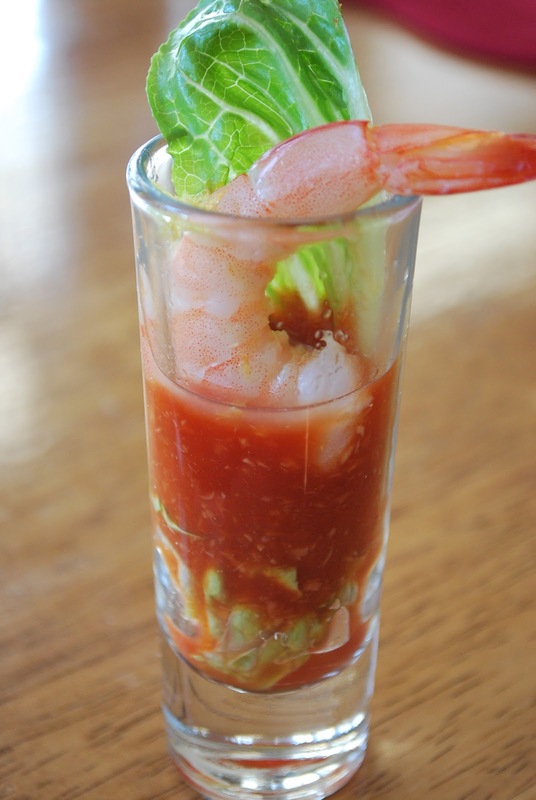 Nice looking glasses you got there and with the shrimp… even prettier! I like how you styled the cocktails. My husband would LOOOOOVVE you for making such a simple yet wonderful dish! Awesome ‘kick’ to find the glasses you wanted! They look beautiful all dressed up like that. Hope you find time to stop by my blog and check out the hot cinnamon milk mix I posted today…I made it sugar free and it’s oh so yummy. Enjoy a beautiful weekend and don’t wear yourself out Amee! These look perfect, and so elegant! These are beautiful! Thanks so much for linking up last week! These look amazingly good! Must try 🙂 I am now following your savory blog! I too have a cooking blog and would love for you to stop by! Have a wonderful day! Cocktail sauce, done. Prepped fresh shrimp, done. Assemble tomorrow for cocktail hour here in sunny Puerto Vallarta . Thanks for an easy peasy, eye catching appy. You’re welcome! I’m glad that you enjoyed the recipe. Do you think if I made these 3 hours ahead of time and refrigerated them it would be ok, or is this assemble and serve immedietl? Hi Ryan! They will be fine for a few hours chilled.